This is a new challenge for me! I’m participating in Cee’s Share Your World for the first time and I’d like to thank Cee for the opportunity to join with other bloggers to share our worlds. As my blog is called Deb’s World it’s very fitting for me to be here! So the format is that Cee poses a set of questions each week and we answer them and share our posts. Cee says: Since blogging is an international activity, I also thought this would be a great way for all of us to get to know each other. Share things about you, your home, your town, your country, your traditions. So once a week, I’ll post four new questions for you to answer about yourself or the area in the world you live. One word is hard but I think I’ll go with acceptance. I was made redundant late last year after months of anguish and so am in the early days (like 2 days into my official retirement) and need to learn to accept things rather than be all bitter and twisted. I’ve been blogging about it for the past few months and am almost sick of the sound of my own voice on the subject!! I’ve got to learn to accept and move on…I’m doing pretty well so far! Wow – only one thing???? OK then: Friends – with all the upsets going on throughout the year I learned that friends are invaluable to one’s sanity and I’m very lucky to have such good friends in my life who care about me. I’d be a pineapple. I saw this brilliant quote on a friend’s blog recently and immediately pinned it to Pinterest and sent it to my daughter who loves pineapples. 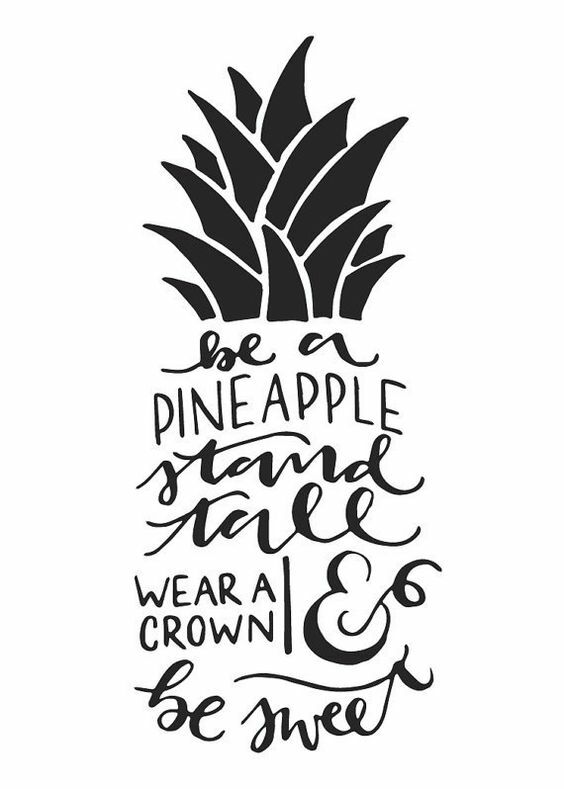 Be a pineapple, stand tall, wear a crown and be sweet – how cool is that? I’m grateful for a lot of things. Last week I was grateful to spend time with my mother, to see my father and to have a lovely home to come back to after a wonderful holiday with all my family. This included our three daughters and their husbands/partners (they came from UK, Canberra and Brisbane) so that we could all be together with 3 generations of family in one place – parents, grandparents, aunts, uncles, cousins. I was also grateful that my redundancy payment came in before the due date! 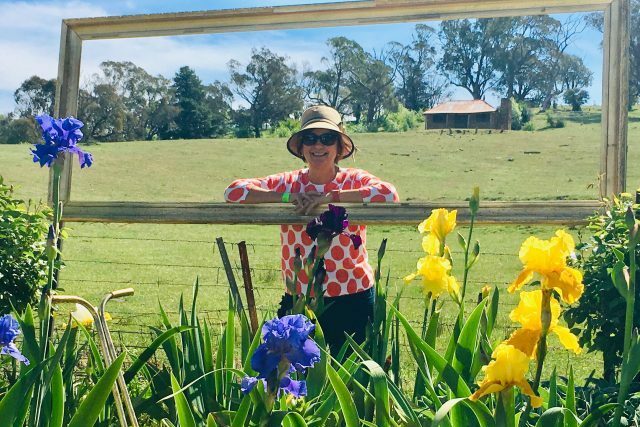 I love taking photos for my blog and my featured image is from a local garden I visited over the weekend – it was all spectacular views, there’s a living church growing and gorgeous plantings everywhere with busy bees and butterflies – nature is something we should never take for granted. The week ahead sees my husband and I celebrate our 37 year wedding anniversary. Always a great time to reflect on how much fun we have together, what we’ve achieved and what we have to look forward to. We are into planning our future as he retires from teaching at the end of the month too! It’s all ahead of us – a whole new chapter opening up. I’ve really enjoyed this Share Your World challenge and will be back for next week’s questions. I’ll go and look at some of the other responses in the meantime!! Love that pineapple quote Deb. Great post!! Sounds like you have had quite a few great weeks and more coming up. Look forward to a post celebrating your anniversary. Not yet but have it on my list to read tonight. Things are going well I’m happy to say. Hope you are good too. Thanks so much Miriam. That pineapple quote is a fave of mine now! Our anniversary is always special, I remember the day so well as I was 19 and 1 month old to the day – so young by today’s standards but hey we’re still going strong!! I like the pineapple too. Happy (forthcoming) anniversary! Many thanks. It’s quite an achievement theses days!! How funny!! Congrats to you too. Welcome Deb to SYW. I’m so happy to meet you. You and your hubby celebrating 37 years of marriage, my sister and her hubby did the same in December. Congrats. Look forward to hearing more about you. Thanks so much for the welcome. It’s great to be involved. 37 years is indeed a biggie and we’re still happy together which is all that counts. Thanks Joanne, it’s certainly major these days. I’m glad to say we’re still happy too. Orange is the new black. I think you would rock orange locks. (That meme thingy was pinched from another blogger I think….love how good things go around the blogosphere). Acceptance is a good word. I’ll give you that one for now but from what I know about your Debbie if you asked me for a word I’d say ‘opportunity’ is more you. Pardon me if I’m being too bold! Welcome to Share Your World. I enjoyed your responses and wish you well on your retirement. Thanks very much for visiting and for your comment. I appreciate your good wishes for my retirement (which I am enjoying despite my reservations) and look forward to participating in other challenges. Glad to hear you are enjoying your retirement. Look forward to reading more of your responses. What a lovely idea for a challenge. Thanks so much for sharing with us at Over the Moon. Thanks Sue, it is good to get involved in these sorts of things. I now have more time for blogging and enjoying being creative. Thanks for your comment Ruth – it is a fantastic quote!